Exclusive to us - JOANNA HOPE. these legging are super stretchy for a great fit. 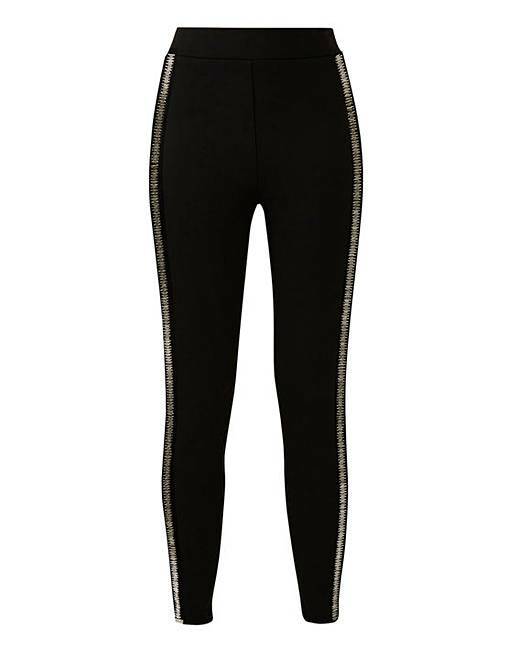 In heavy jersey Ponte fabric with diamante trim to the leg. Pull on style with elasticated waist.